The dog days of summer ended last night with the second annual Pooch Plunge. 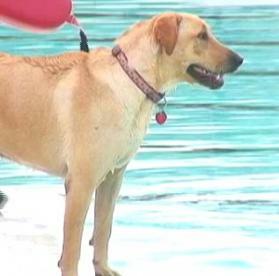 The Albert Oakland Pool opened solely for dogs. The event invited owners and their small dogs during the first half and families with larger pooches during the last. Owners tossed balls and toys to entice dogs into the water and to promote exercise.